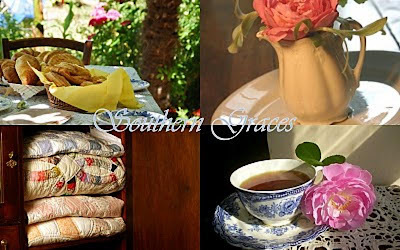 Miss Nancy is now blogging at Southern Graces. Be sure to go by and welcome her back! I didn't know Miss Nancy but I will pop over!! Thanks, Stacey! I've missed that gal and she's been gone way too long! I have already been by! I am soooo excited! I know. She just commented on my blog to tell me. So glad she is. For some reason her comments will not publish though. I hope that clears up. Woohoo! Finally - I'm so glad to have her back. Besides you Stacey, Nancy was one of the first ladies to welcome me to Blogland so graciously. Thanks for the heads up! Oh I am so glad! I'll pop over there. Thanks Stacey! I never visited Miss Nancy's blog, but after seeing the pictures you shared of it, I am going to. How kind of you to give her this welcome back. She's back! I'll go hop on over now. Thanks! OMGosh, i am so so glad to hear she is back. I've missed her Southern charm! !